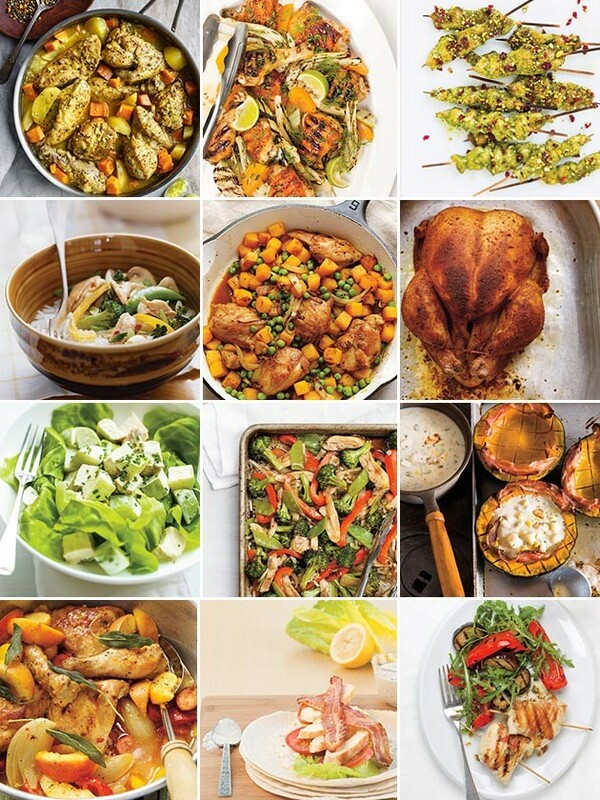 A new keto recipe resource that I have been using as the template for our nightly healthy, keto family meals. My husband and I have busy days and; up until a month ago, never really had weeknight keto dinner together. We made a decision mid-Summer to commit to spending our evenings at the dinner table as a family. Problem was, I ran out of keto dinner ideas really fast. Like, fast, fast. And, there’s only so many mashed keto food bowls Kevin can handle. 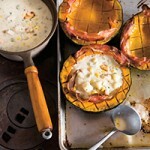 Then, I was introduced to Ricardo Cuisine, a website that provides a ton of simple family meal recipes. While some of the recipes call for dairy or gluten, many of them are easily adjusted to fit our whole food, ketogenic eating style. The ingredients are simple, instructions are easy, ready in under 30 minutes and; with a bit of tweaking, they work for anyone, even those of us who are keto. I wanted to share this resource with you if you; like me, struggle with coming up with easy keto dinner ideas that the whole family will love. They have a lot more than chicken recipes on the site. Beef, duck, game meats, you name it. Smoked Chicken Burgers – easily made keto (high-fat, low-carb) by serving in large romaine wraps instead of buns. When I tested out this keto recipe over the summer, I used apple cider vinegar in the coleslaw instead of rice vinegar. Spiced Chicken Skewers on Avocado Puree – the chicken marinade is delicious! Instead of sugar, I used a teaspoon of xylitol. And, for the sour cream I used the same amount of full-fat coconut milk and 1 teaspoon of apple cider vinegar. Worked like a charm! Berbere Spiced Chicken – when I made this, I replaced the potatoes for 3 bunches of radishes and went to town on the seasoning! I slathered my keto plate with a big dollop of keto avocado mayonnaise and served on a bed of fresh greens. Grilled Chicken with Celery and Coconut Gremolata – I tripled the gremolata in this keto recipe because 1 tablespoon split between 4 servings just didn’t feel right to me. I love me some coconut! Everything in this recipe is keto, aside from the honey. But you can’t really make the sauce without a sticky sugar like honey or maple syrup. So, I kept the honey in and at this dish at night with a generous helping of mashed sweet potato for my daily-ish carb-up as part of my adrenal keto protocol. 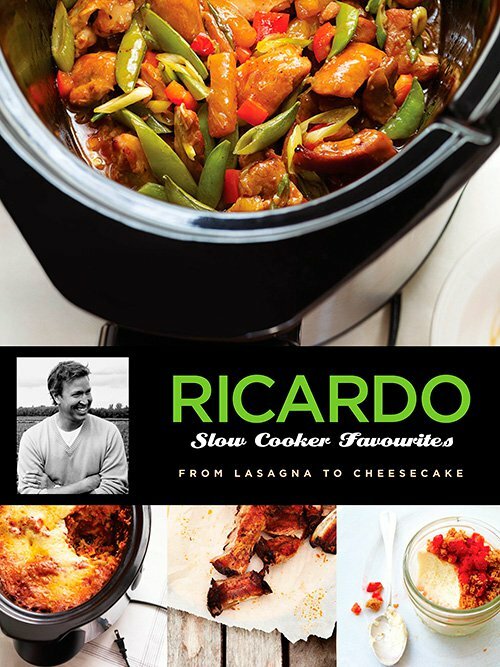 Enter for a chance to win a signed copy of the Ricardo Slow Cooker Favorites recipe book. 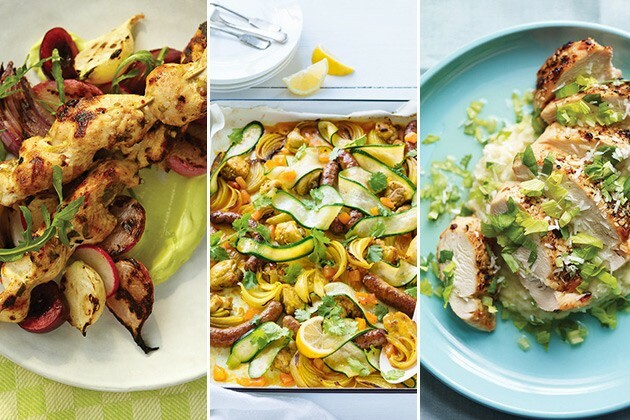 To enter, visit Ricardo’s Chicken Recipes, come back to this post and leave a comment below with the name of a recipe that caught your eye. Giveaway open to Canadian residents only. Giveaway closes September 10, 2015 at 11:59pm EDT. Winner will be randomly drawn and contacted via email. If response is not received within 24 hours, another winner will be drawn. I’m excited to see which recipes you find!